an unearned gift, but from God. Grace does not exist in a selfish form, instead it relies on the generosity and love of one to another. I had a few hundred dollars in my wallet, but was unable to exchange it anywhere in Zwickau. 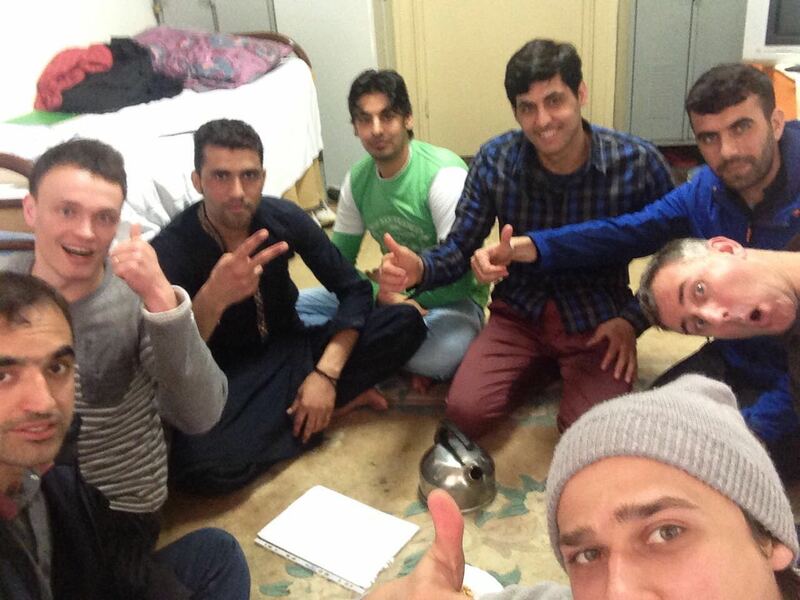 My worldly wealth became useless, and twice I was invited to have tea with some refugees in their room. In both cases, the men showed extraordinary grace, sharing oranges, apples, and bananas. One of our hosts even ran to the market a block away to get peanuts for us to snack on. It was interesting how God made my dollars useless, so I could receive grace from these refugees. As I sat next to them, I thought wow what if I was one of them. My passport took on a whole new meaning in that moment. The privilege that came with it was humbling, after all, I did nothing to earn it. Often when we met with refugees from the Middle East, when they would find out I was from the Unties States they would say, “America is Great!” I was always humbled in these moments. Not knowing what they have seen, not knowing what they think, I could not imagine what the basis was for their opinion. After all, many of them came from war torn parts of the word were American military forces had operated for over a decade now. Were they scared of us? Were they thankful for us? Lead Pastor Henry Dietrich from Stadtlicht Church mentioned in a conversation with me that his family, along with other Christians in Communist East Germany were put on list by the Stazi with everyone’s name and an assigned prison cell number. Fortunately, the Wall came down and those lists were never carried out. I thank God that I have been privileged enough to never be persecuted by my government for my faith. As a person who comes from great privilege, I am challenged by what it means to show Grace to others. It is so much easier for me to go somewhere else to serve and be gracious to others . However, as globalization of people and culture grows, and God continues to use Diaspora like He has for centuries, I wonder if grace looks like something far more challenging than I am prepared to accept? What if God is calling me to show radical Grace to others? What if God was calling for me to share my neighborhood, schools, and church with others less privileged than me? I learned so much about my privilege this week. As I reflected on how most of my life I has been spoiled by a selfish nature of entitlement. I am sad by how I have waisted my God given talent, by focusing on inabilities and not strength. It is clear my enemy wishes to rob me, and keep me from realizing the true nature and reason for my privilege. That God has blessed me graciously, and has called me to use my privilege to be a blessing to others. So as I return home, my prayer is that God will keep me focused on Him. That I will do more for others and less for myself. That the spirit would lead me with a faith without boarders. That I could freely extend grace, love, and mercy to The Least of These, regardless of where they came from or how they came. Special thanks to my wife and all those who have supported me with prayer, encouragement , and financially. This has been a incredible journey for me, and I hope an encouragement to you! Blessings. Categories: Faith Adventure March 2016, News & Updates | Permalink. was told that east Germany is the grave yard of church plants. Well then I must be in the midst of a miracle, because what I have seen, and what I have heard is nothing short of amazing. Stadlicht Church is on Fire! People by the hundreds are getting to know Jesus, lives are being changed, and they are truly a City Light. touched me, they have amazed me with their hearts to serve in such a joyful way. We are having so much fun together. We are always laughing, and working together is so much fun. I experience this with both the team from Forum Wiedenest and Stadlicht. All of them are all amazingly gifted and anointed by God. I truly believe I am in the midst of a miracle. On Monday night, as I sat on the floor and had dinner with a man who fled from Syria, he shared pictures of Damascus both before and after the war. I was moved by the sadness in his heart for the incredible loss of his home. I could not help but weep for him. Yet, when I looked at these pictures God placed hope in my heart, as I was reminded of Germany after the allied air attack of world war II. It hit me, there is hope. Like Germany, Syria can rebuild again into a great nation. This message of hope Germany can tell so well. I just love how God is at work in this way. I love how God uses our brokenness to teach us and bring us closer to Him. I love how God is near the broken hearted, the widows, and the orphans. I love how God restores us. Tuesday and Wednesday our team split into many groups. 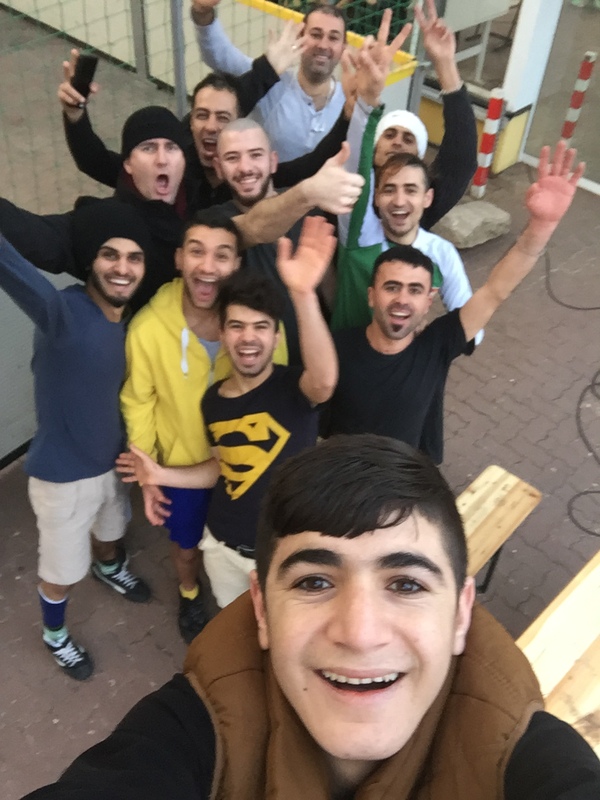 Together, amongst other things; we taught German classes, served refugee families, showed the Jesus Film in Arabic, distributed over 200 bibles in Arabic, and hosted a soccer tournament at a men’s refugee facility. I joined the team hosting the soccer event, and it was nothing short of awesome. Forum Wiedenest had sent a trailer with a complete indoor soccer arena called a Sport Kit, which we set up at Max Bahr. Max Bahr is like an old Home Depot, that now houses refugees in Zwickau. This facility is currently hosting about 500 men, of all ages, and many countries. The tension can be high at times in this place as the men don’t have much to do. 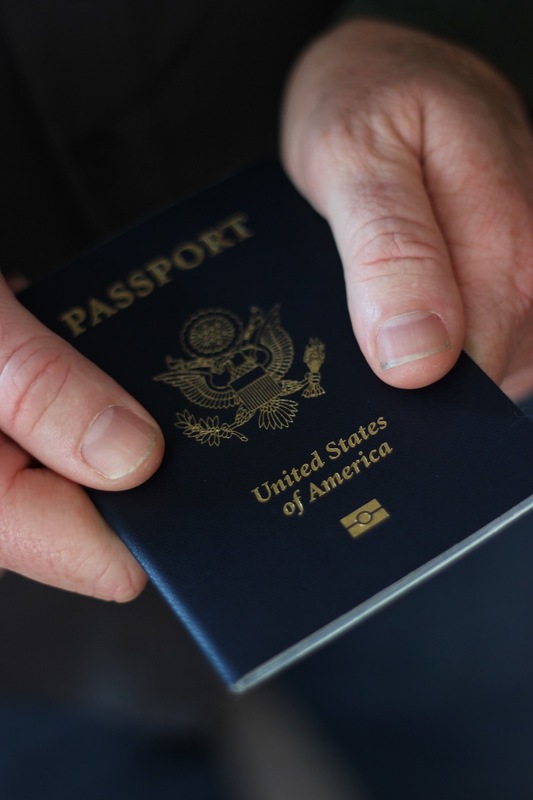 They can’t work or travel until they receive the proper passport which can take over a year. So they sit, and drink tea, and try to pass the time. Almost like in prison. Yes, they can go out into town, but often going into town is not nice for them. Almost every refugee I spoke with has experienced some form of racism or even physical violence while in Zwickau. So we brought the City Light to them. Over 50 men participated, and many more watched and cheered. This man was 58 and dominated the soccer field. Categories: Faith Adventure March 2016, Muslim Outreach, New Reformation, News & Updates, Refugee Community Integration | Permalink. I am officially old. Considering that I am the oldest of my group by 15 years, it is very clear I am no longer 25. On Saturday I was assigned my team, which consists of 12 FW Bible Schools Students, 1 missionary from Mavuno Kenya, and myself. It is awesome to experience this time through the eyes of a young adult who still has the eyes of optimism and the ability to do so much. 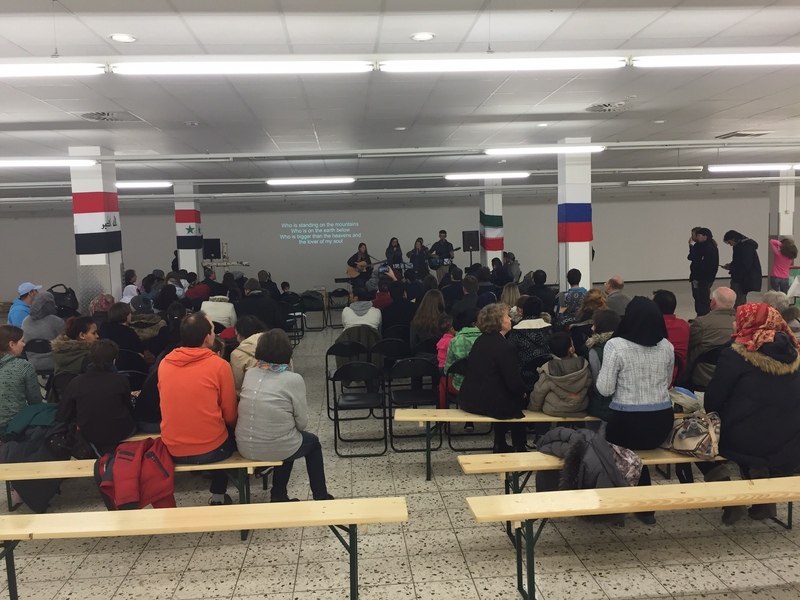 The first day in Zwickau started the week off with two amazing worship services. 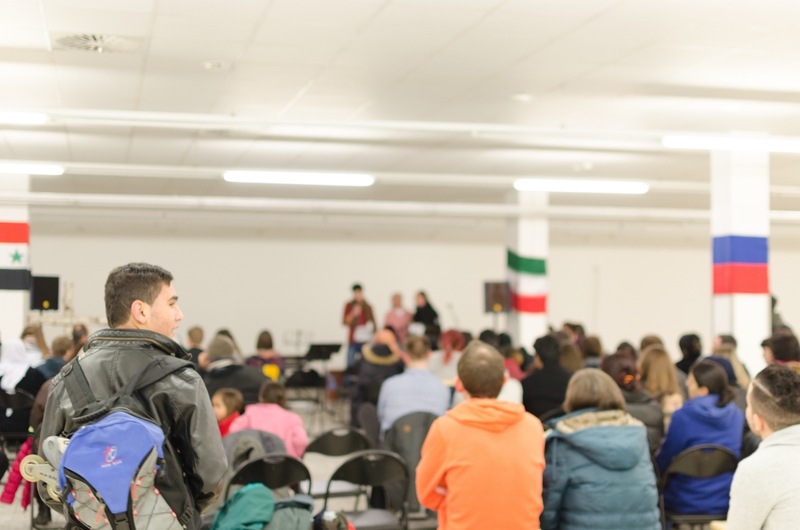 The first at our host church, called Stadtlicht, and the second was a refugee service hosted by a local church network called Cross Culture Network. The other piece of his message was the idea that God will bring people into our lives that need our help, even when we think we are not able to care for them. This is an obvious reaction to the refugee crises. But I a reminded God brought them into my life for a reason and he will provide what I need to help fullfill his plan. I just need to do what I can, and let Him do the rest. I love the emphasis on “Just bring what you got, let God do the rest.” God is telling me just step out in faith, and I will handle the rest. So good! 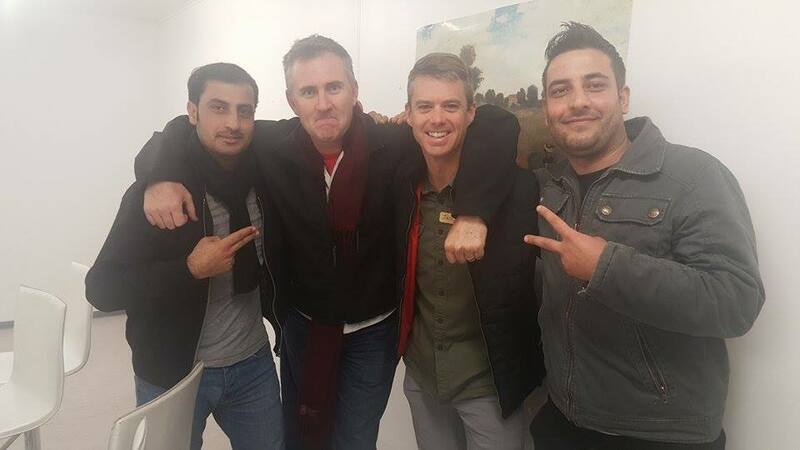 Cross Culture network is an amazing concept. 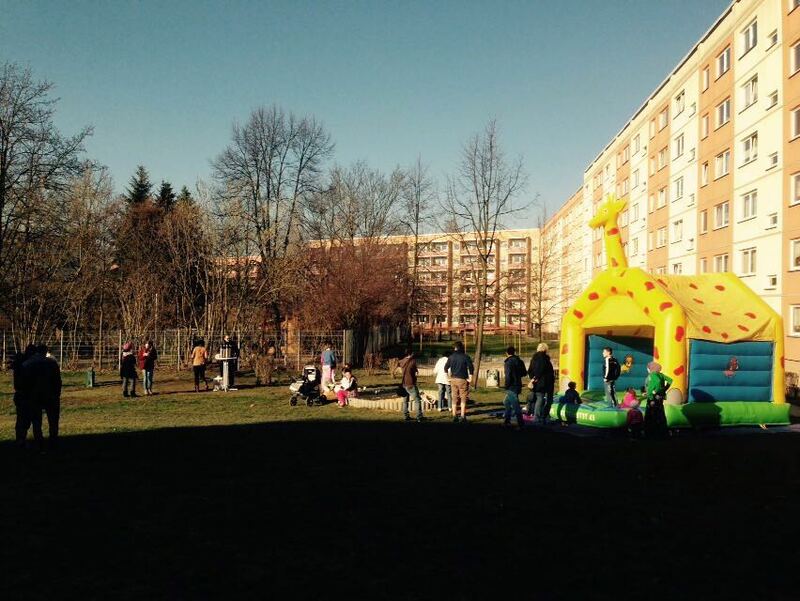 It is a coalition of about 5 local churches in Zwickau which come together and pool resources to host a church service in the neighborhood where many refugees live. They are exploring together what it looks like to serve the needs of the city. 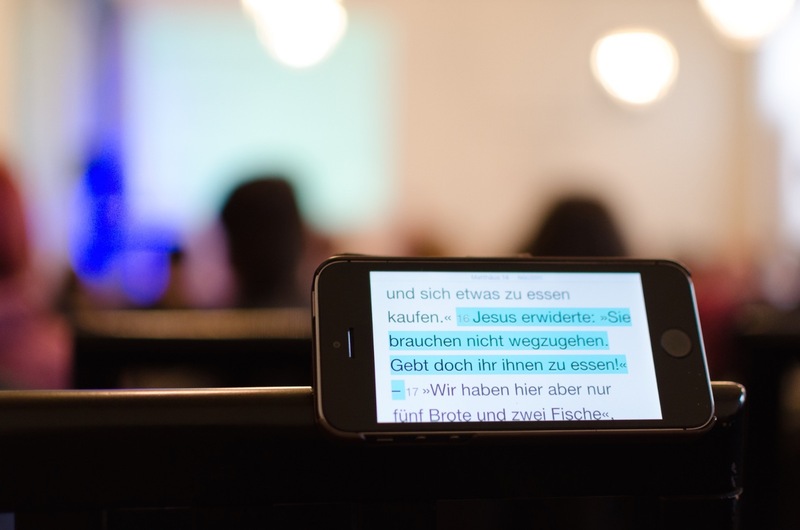 The service consists of a message translation along with many biblical resources in Arabic. The service has lots of worship music, message, and the best part was the food and fellowship after. 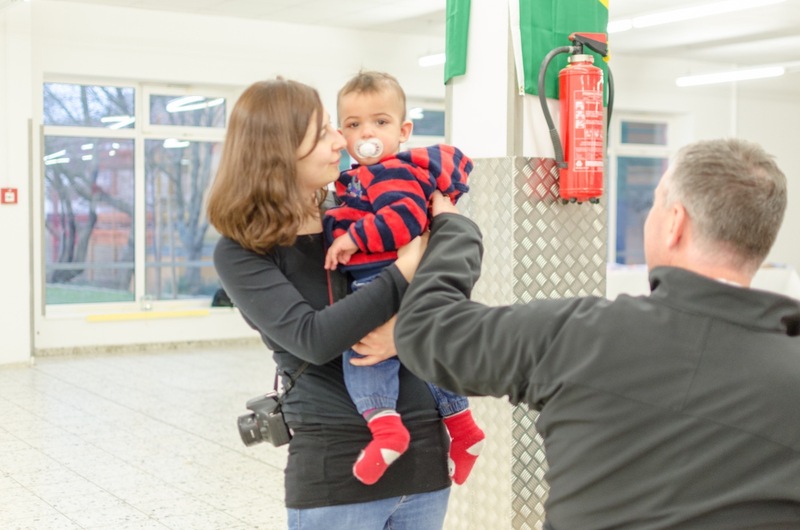 This is a great way for refugees to connect with each other and local Germans. This is a grass roots effort by all means. 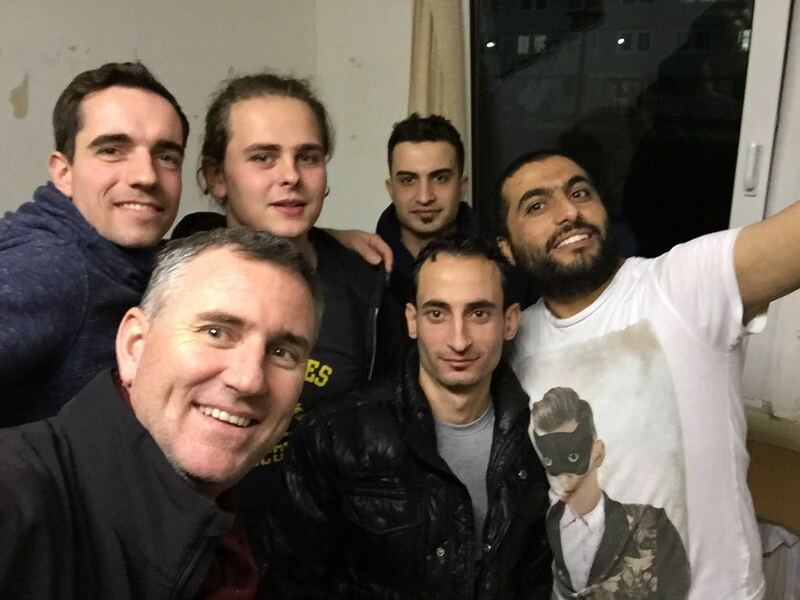 For example, about 20 of us split up into groups of 2-4 and went door to door throughout the apartment buildings which house refugees. We used Arabic invitation cards, and spoke German & English to invite people to church. Talk about ‘stepping out of the boat,’ it was amazing! The most resounding message I am experiencing is at the attitude of those I am serving with. There is no talk of politics, no talk of if this work with refugees is right or wrong, no talk of terrorism..Instead, they are joyful, and confident in what they are doing. It is such a blessing for me to watch the Holy Spirit lived out in this way. So I feel like a young adult again, full of hope and optimism about how I can “Step out of the boat.” I look fwd. to letting God use these Bible students and refugees to teach me things about life I never learned, and most importantly how to walk in faith. Life is like a rug. Looking at the bottom it is hard to make out the pattern, but looking at the top it is easy to make it out. Similarly, this side of Heaven it is hard to make out the plans God has for our life, but looking back we can see how he has worked all things together for good. Such is the story of how I find myself in Germany. In 1932, Winfried Schroeder was born the youngest of 6 children. He grew up the son of bakers, in the small town of Bergneustadt. This was a memorable era in Germany history as Hitler worked to advance his objectives. As for young Windfried, he recalls stories such as trading bread for hand carved wooden airplanes to Russian soldiers in hiding out behind their home. An innocent trade until the Gestapo found out. Rumor also has it, one of the soldiers even gave him and his brother a pistol which is still thought to be in the woods behind the house. At the age of 8 young Winfried accepted Jesus at a small Bible school near his home. 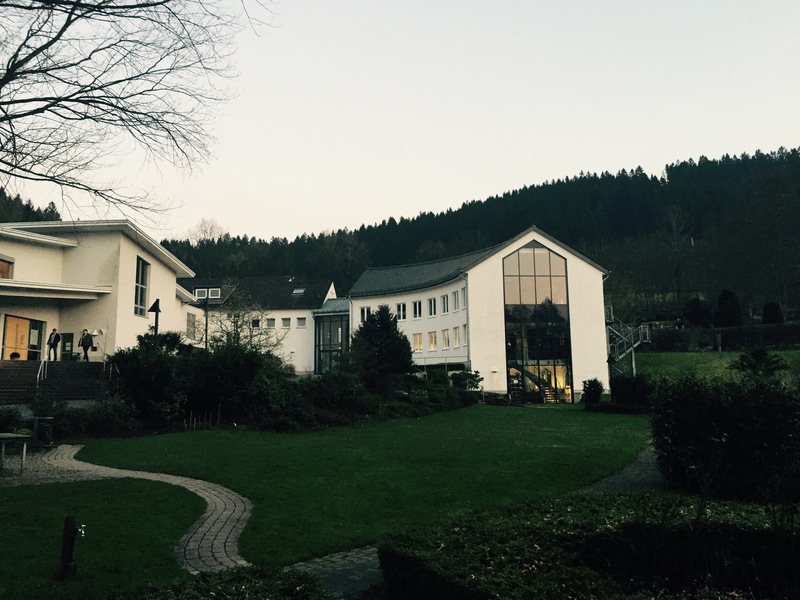 This small Bible school is know today as Forum Wiedenest. In 2004 shortly after I accepted Christ, I was asked to participate in a singles ministry leadership retreat through Mariners Church. The first night of the event a beautiful blonde hair girl, named Carolyn Schroeder, caught my eye. Although she does not remember this moment, she later became my wife. Over the last 14 years Carolyn and I have served in various ministries at Mariners Church. Mariners has become our home church and it’s many of it’s members part of our family. 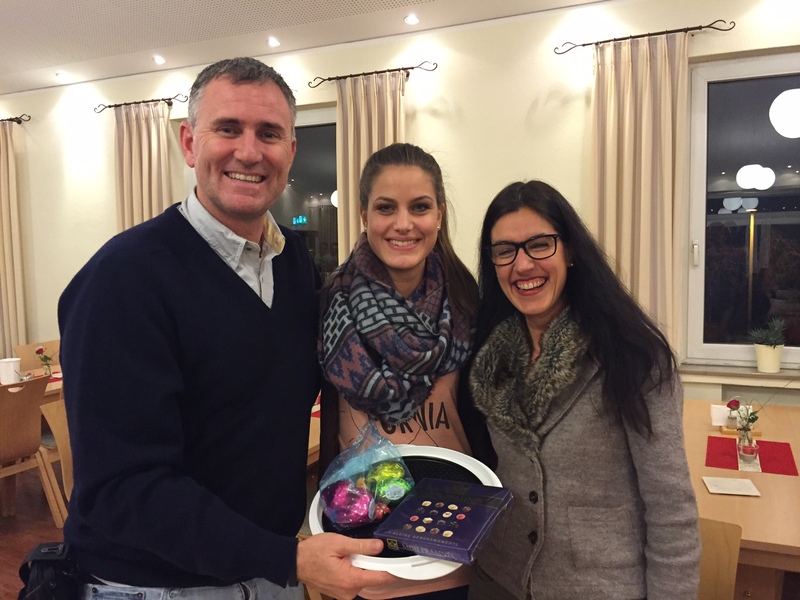 In the spring of 2015 we were introduced to Christian and Marit Boguslawski, who at the time where global interns at Mariners from Mavuno Church in Berlin. 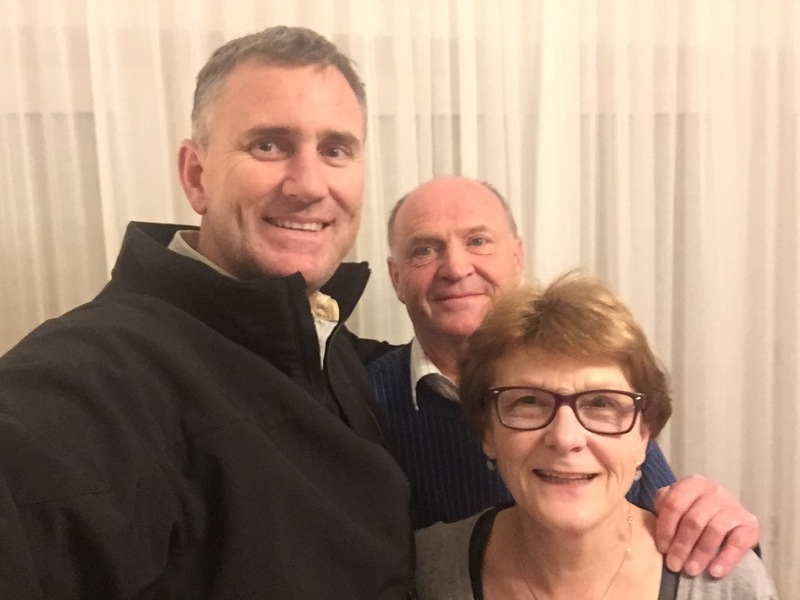 Marit and Christian Aka the Boogys, quickly became friends and the seeds for ministry in Germany were planted in our hearts. In the fall of 2015, I awoke form a nap and felt called to immediately contact Christian as thoughts of refugees overwhelmed me. Quickly in my discussion with Christian I was struck by the ministry potential, and could not contain my desire to act.Many of you know the journey I have been on the last few months. However, one of the most amazing stories is yet to be told. 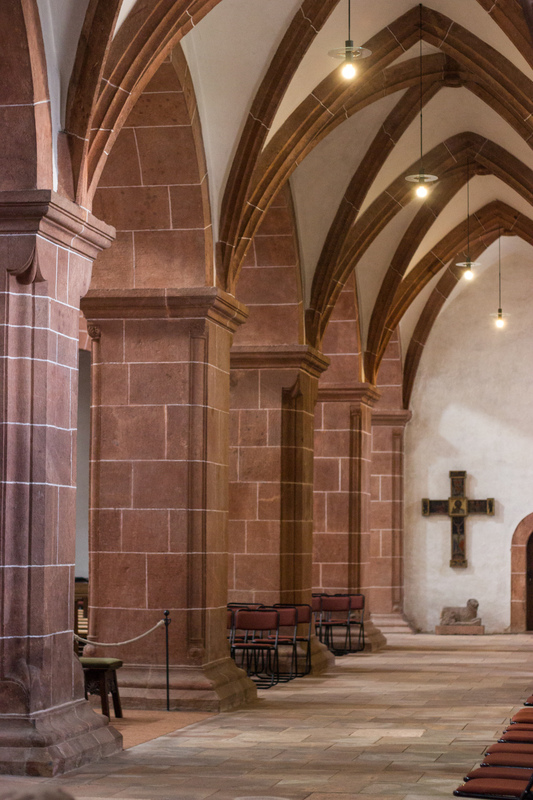 As fait would have it, Mariners Church had long established a global partnership with Mavuno Berlin, and also with a extraordinary man of God in Germany named Horst Engelmann. As I would come to find out, Horst was the head of missions at Forum Wiedenest in Bergneustadt. Coincidence? I don’t believe so. As if this was all not enough, God had more. In the spring of 2010, a young student at Carolyns school named Jackie came to her class. She introduced herself as a student from Germany who was attending American school for 1 year. Jackie is also from Bergneustadt. 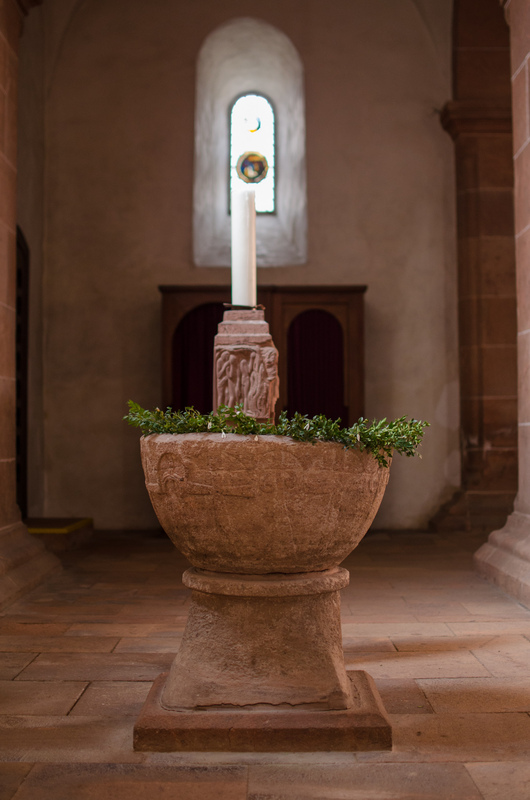 I believe after decades, God is pointing our hearts back to this small town in Germany to do something big. Although I am not sure where this road leads I walk in faith with such clear signs to move ahead. 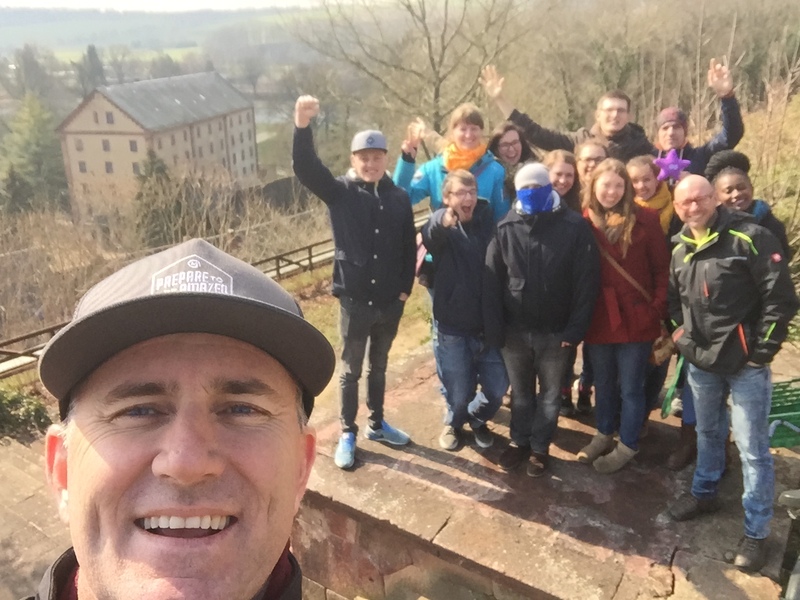 My first two days in Germany are an amazing example of how God has woven this story together. My team from Mariners has been sent to Forum Wiedenest for a week of outreach to serve refugees. Jackie met me at FW, drove me Richard & Barbels house (dear friends of Johanes Schoreder, Windfrieds brother and whom we name Laim after) were I will stay while in Bergneustadt. Mariners Team preparing for Refugee Outrearch week at Forum Wiedenest. On Saturday we will be form 6 teams all commissioned to work with refugees around Germany. 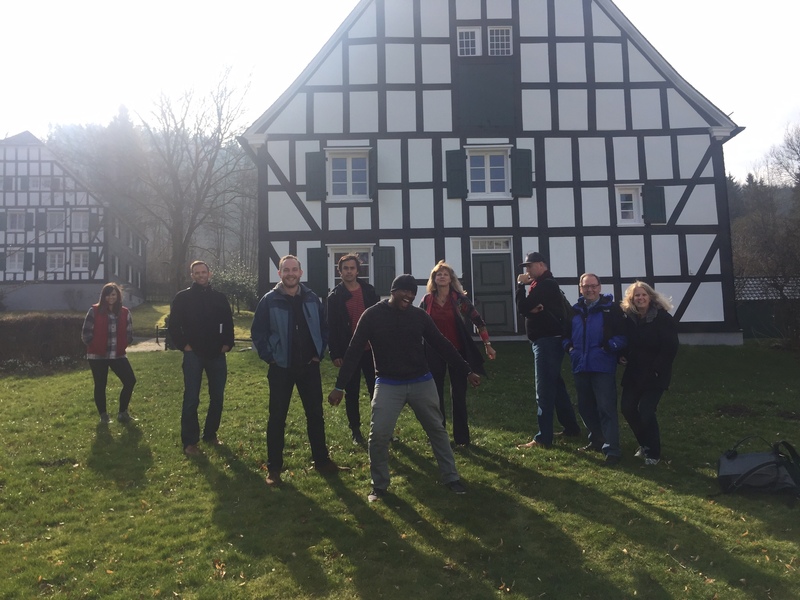 My team will be deployed to Zwickau in the east. All this said, I am at home, away from home, participating in an incredible story only God can orchestrate. Mariners Team preparing for Refugee Outreach at Forum Wiedenest. Social media, the internet, and advances in transportation have made our world increasingly smaller. And history tells of people being scattered for various reasons; some bad like slave trade, others good like job opportunities spurred on by a more global economy. Regardless of the reason though, as time goes and our world gets smaller and smaller people become increasingly scattered. Thus, our culture gets more and more diverse. The question is then, if Heaven will be place of fellowship for people of all ethnic and generational backgrounds, why is Sunday Mornings the most segregated time in America? The Jewish diaspora – Do those routes look familiar? globalized; to make (something) cover, involve, or affect the entire world. Different terms but similar in nature, as they relate to people. If diaspora and globalization continue to impact society, will we choose to become more segregated or seek cultural reconciliation? Put another way, will we seek shalom? 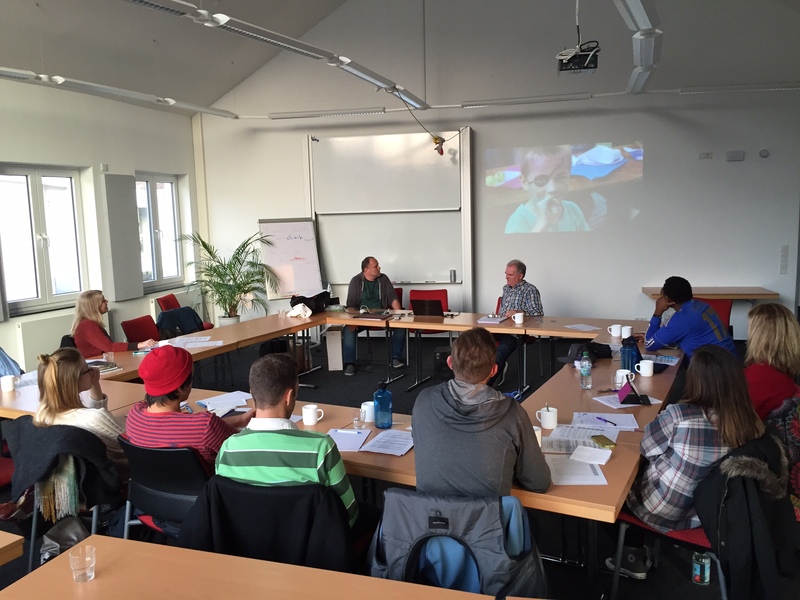 As you know I am passionate about how God is using refugees in Germany. When you consider the history of Germany in the context of their new roll as the front lines for cultural reconciliation the implications are astounding. No clearer example of diaspora and a country that is also very globalized. 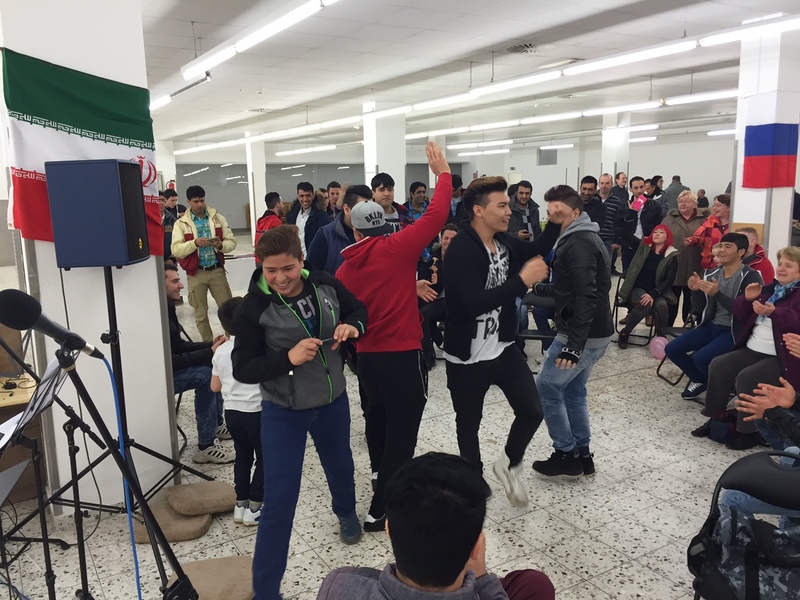 One of Germany’s largest challenges is how to integrate over 1 million new Syrian Refugees. History has shown the world segregation and persecution of a people by religion or race is not the answer. No country knows this better than Germany. My belief is God has blessed them with the monumental challenge of working towards cultural integration and reconciliation. We Americans can learn so much from this. from different ethnic backgrounds can work together in unity. In other words, what it could look like to be part of a globalized culture. We will do this as mixed cultural groups working to serve refugees and build relationships. Additionally, we will also aim to help churches get a clearer vision of the Great Commission, and help build awareness to God’s command to love strangers. Lord willing, we will learn how to make Sundays NOT the most segregated time in America? My prayer is we will learn how to make Sunday morning a foretaste of heaven, where people from diverse ethnic and generational backgrounds will fellowship together. I want to invite you on this journey with us. Our team is grateful for the opportunity, but knows we can’t do it without the support of our own community. 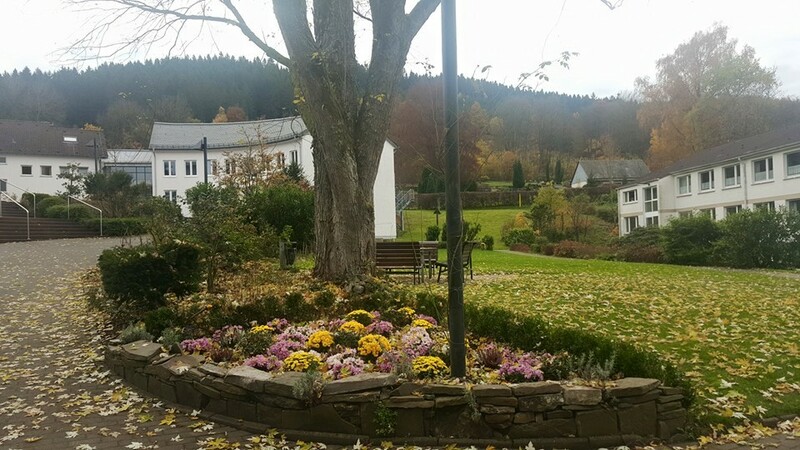 Please be praying for us, for the work God has called us to do, and for our partners in Germany. Also, if you would like to support me financially, you can do so directly by clicking here. “The harvest is plentiful,” says the Lord! The intent is that participants from other countries will mix with the German participants in a way that will be a shining example of how people from different ethnic backgrounds can work together in unity. The goals along with serving refugees will also be to help churches get a clearer vision of the Great Commission, and help build awareness to God’s command to love strangers. I want to invite you on this journey with us. Our team is grateful for the opportunity, but knows we cant do it without the support of our own community. 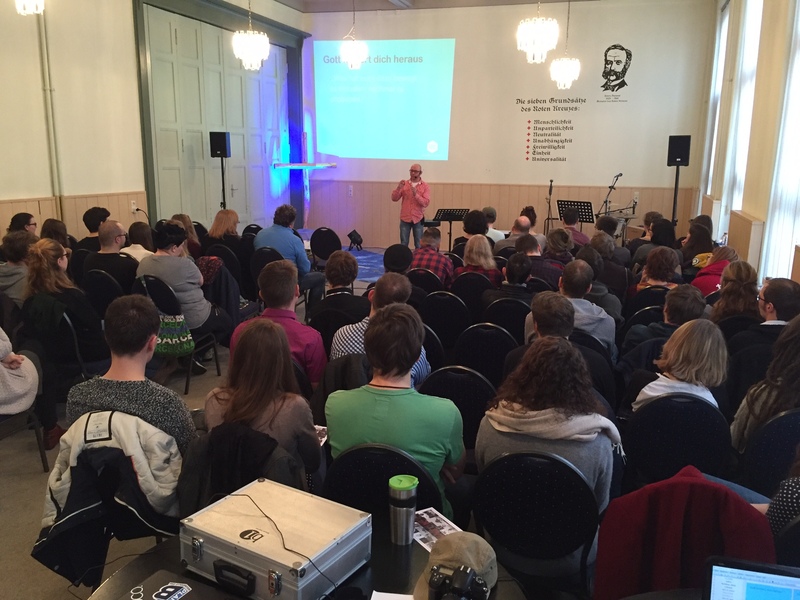 Please be praying for us, for the work God has called us to do, and for our partners in Germany. Also, if you would like to be a part of this trip financially, you can do so by clicking here.